I am doing the Twinning Programme from Annamalai University DDE. 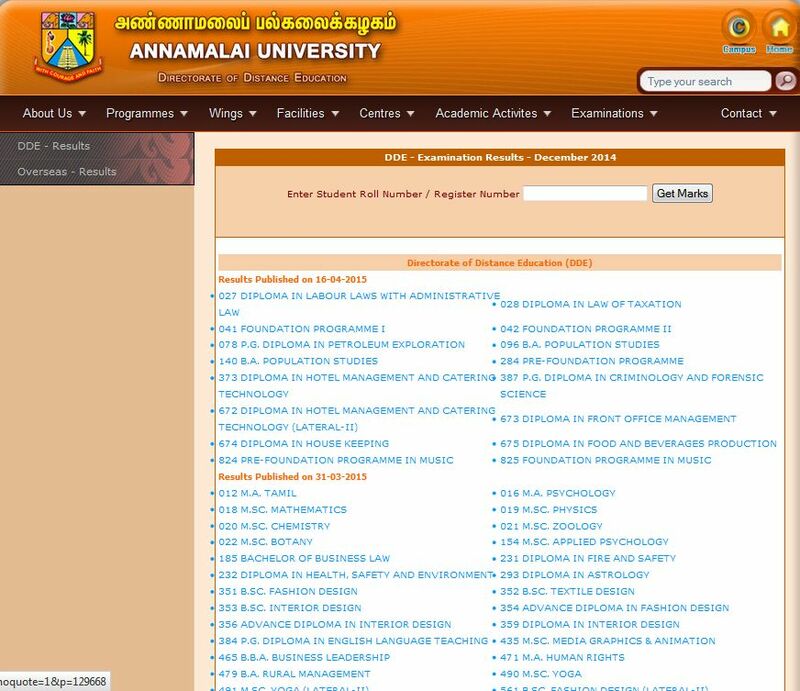 Will you please tell me about the procedure to get the result of Annamalai Universityâ€™s Twinning Programme? As per your request, I am giving you step by step procedure to get the result of Twinning Programme offered by the Annamalai University directorate of distance education. Kindly follow the below steps.